Russian Blues! The royal descendants of Czars’s cats, evolved and adapted 150 miles from the arctic circle(Arkhangel’sk), with dense double coats and vivid green eyes, they are a hard breed. Rarely have health problems and don’t have any genetic predisposition to certain diseases unlike many other breeds. This is mainly because Russians are a natural occurred breed through old good fashioned Darwinian natural selection. They have very large lifespans that some times reach 25 years of age! Along with humans, the lifespan of pet cats has risen in the past 30 years. From 7 years on average in the 80s to more than 9 years in 1995 to more that 11 years in 2013. The trend keeps going up! Cases of cats reaching their 30s have also been reported! There are two main reasons for that, the most important is that breeders constantly try to improve the breeds with selective breeding, the other reason is spaying and neutering. Many of the cats die in early age because of their sexual drives, the sexual competition in the cat kingdom is very strong, many cats get injured while fighting over a female or protecting their territories. Stats show that it is more likely for“wild cats” to be hit by car. In general neutered males live twice as long as intact males and spayed cats 62% more than intact females. Males have greater advantage because males are usually the cats who fight over females. Important Note: Spaying/Neutering your cats will also bring peace in the house, cats males or females fight for territory and especially if your house is small this can be a problem. Neutering almost eliminates these behaviors. Having your cat indoors vs outdoors is not the same. Cats do like being outdoors exploring and expressing their “natural instincts”. But this freedom and expression comes to a cost. In general the lifespan of an indoor cat is somewhere between 12 and 20 years. Outdoor cats live from 1 to 5 years. If they are lucky they might get to 7. Of course most outdoor cats don’t have veterinarian care, no vaccination and horrible nutrition. But apart from these there are many diseases and parasites your cat can catch even if it has full vaccination and vet care. Furthermore you can’t stop your cat from eating bad stuff when wondering around outside the house. You can’t stop her/him from getting into a fight with another cat, or even worse another animal. You cannot help her by drinking poisoned water nor avoiding being hit by car. 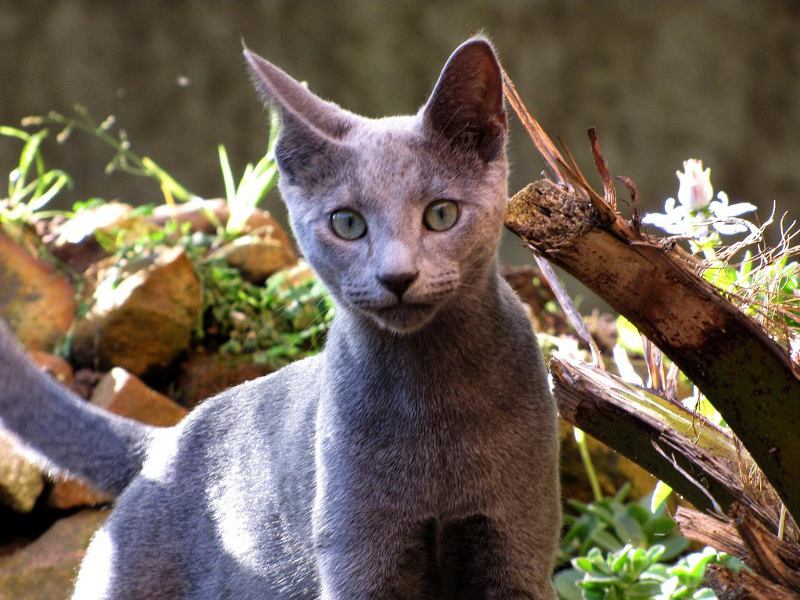 Russian blue is a naturally occurred breed and therefore it has little to no genetic problems. Russians are not predisposed towards specific diseases like many other breeds are. For this it is not rare for Russian blues to reach the age of 20 years, or even more! 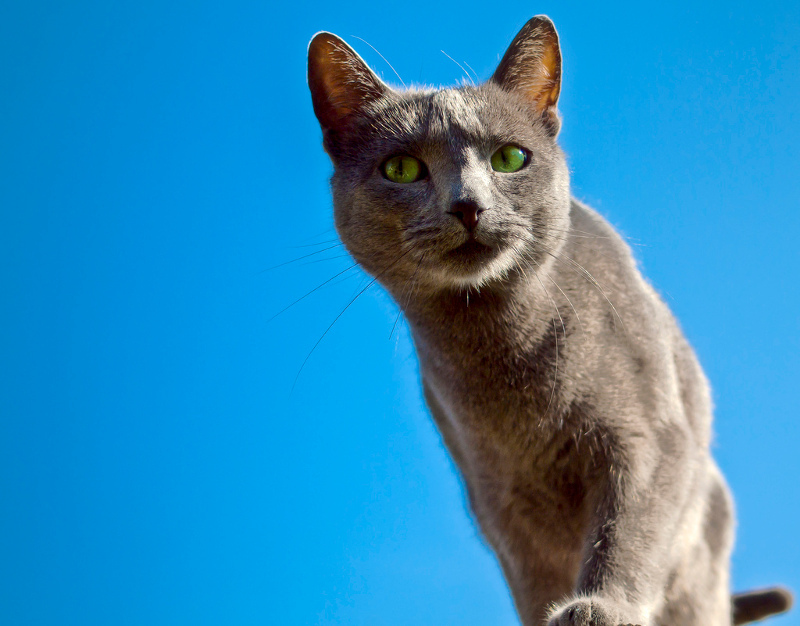 If you want to have a beautiful, healthy and strong cat, then the Russian blue is exactly what you want. In case you keep him indoors it would be good if you play with him so he can exercise and move a bit. Together with good nutrition and veterinarian care it is pretty sure he will live for many years without health problems. Note: You can find kittens for adoption here and kittens for sale here. To reach our goal for this article, the life expectancy for this breed is somewhere around 15 to 20 years. But this can vary a lot, depending the pet’s lifestyle. 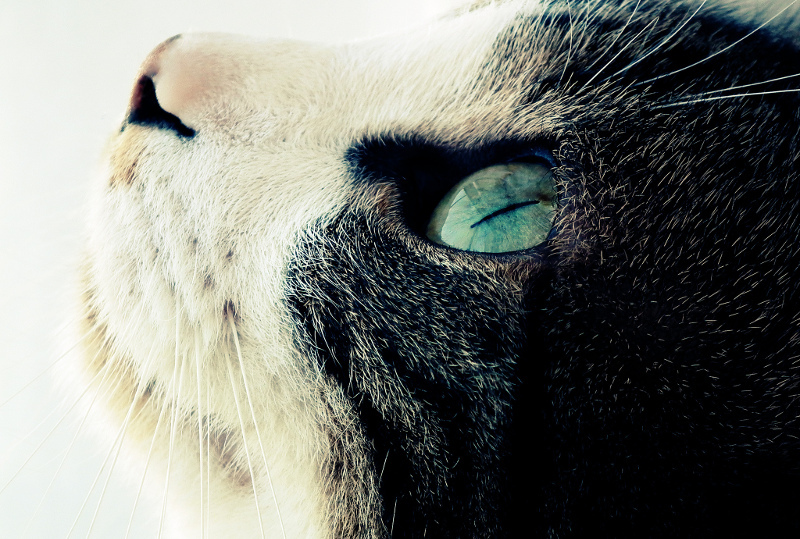 Cats vary in their life expectancies as much as humans do. You may hope to live till your 80s or 100s, but you never know what life plans for you. There are always exceptions of people who live up to their 120s or who die as early as 40 or 50 years old. The same with cats, you can’t know, the best you can is to keep your cat fit, healthy and safe, nature will take care of the rest.